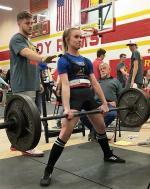 Celeste High School senior, Keeley Jurca, recently took 1st place at the S&S Ram Invitational Powerlifting Meet in her 105lb weight class! 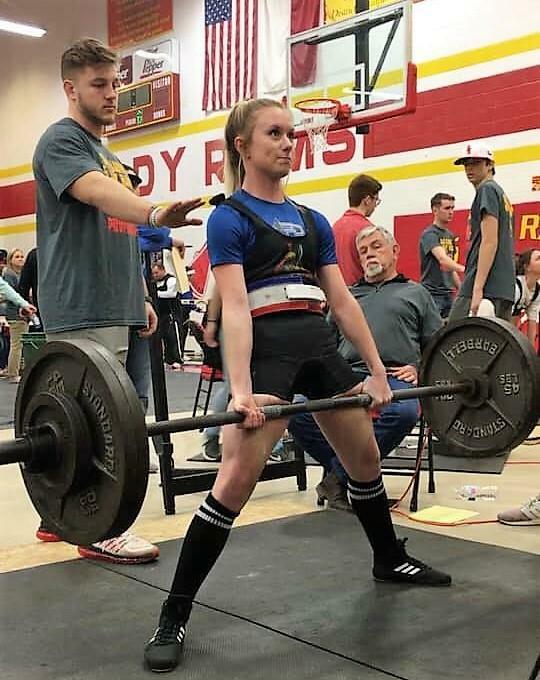 She set a new total weight lifted at a meet with a personal record of 705lbs. 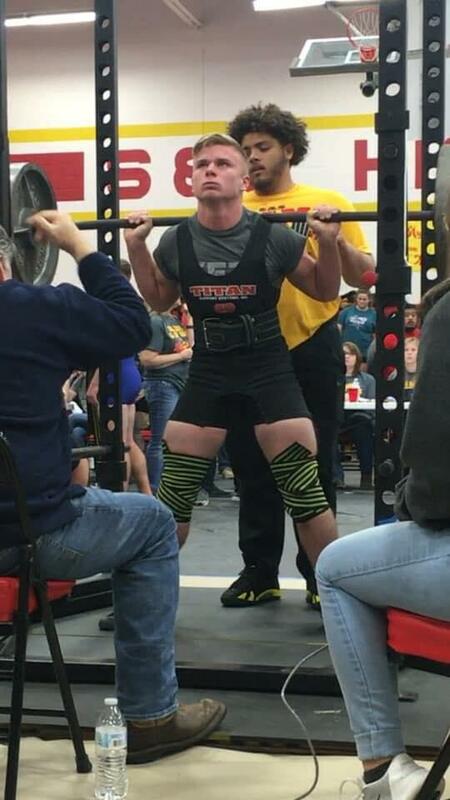 Also at the S&S Ram Invitational, Bryce Jurca put up some great lifts, and he ended up placing 4th in the 165lb class with a 420lb squat and a 475lb deadlift. He also set a new personal record on the squat and deadlift with an overall total of 1,095 at this meet! The powerlifting team is coached by Collin Henderson and assistant Sean Moylan.